Conquest delivers a unique approach to the security industry, unlike other company's we do not rely on only the normal pre requisites of the military and police but gather experience from a diverse range of business backgrounds including commercial, senior management and Health and Safety. It is this blend of experience, our attention to detail and our focus on quality of service that make the difference. The provision of Security Services deserves the utmost professionalism; anything else ultimately affects the end result. By choosing Conquest you can rest assured that the right people with the right skills will be assigned to the right tasks, period. Will my assignment/request be dealt with in a confidential manner? Confidentiality is something that we take very seriously, from the first contact and the control of documentation to the client communications, information is tiered so that whilst the objective is always the focus everybody strives towards, the control and operational plan remains confidential. The method of communication will always be defined with the client from the offset so as to allow the best possible chance of success. Can Conquest provide multi lingual personnel? Yes, this will be detailed as part of the pre assignment instructions, we pride ourselves on matching the right resource to the right assignment thereby dramatically increasing the chances of success, culture and custom can so often make the difference to a successful outcome. Can a Conquest Consultant meet with us to discuss an assignment? We would ask that you firstly complete some details on the contact us page of this website, we then pride ourselves on our speed of response and our communication clarity and will be in touch with you within 12 hours. From this starting point we will arrange a meeting in a convenient location and at a convenient time to discuss the assignment in detail and to determine the most appropriate way forward. Are all Conquest personnel vetted? 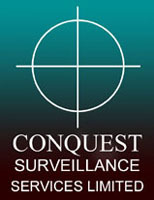 Conquest consultants all have relevant background checks which include valid Criminal Record Bureau and Police National Computer checks. Do all Conquest personnel hold valid certification to operate worldwide? All UK operatives hold SIA licences, we ensure that through our partners all personal employed on our assignments hold valid certification for their country of operation. Where do Conquest personnel come from? Conquest do not place limitations on the personnel it uses preferring to seek individuals with a broad spectrum of skills to achieve the end result, undoubtedly personnel from military or security backgrounds bring the core skills to the table however we expect more! Communications, adaptability, decisiveness and inter personnel skills are also attributes we look for in order to deliver as complete a package as possible ensuring that we utilise those most likely to achieve the desired results. 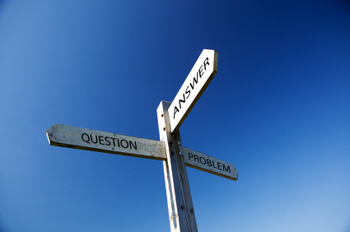 Where do we operate and what is our response time? Conquest operate worldwide and the response time is dependant on the case assignment, from the offset a detailed plan will be outlined that defines geographic, cultural and assignment timelines. Can we supply personnel worldwide and if yes how quickly? Yes, ultimately we prefer to use our own resources on all assignments but occasionally because of the specifics and intricacies of the tasks we will work in conjunction with local resources, however these are always tried and tested and managed by a senior operative assigned to the case, experienced in the country as well as the subject matter. Conquest prides itself on the availability of partners and associates who bring key skills to the table always using the best resource to produce the best result. How quick we can provide operatives always depends on the task, we will not sacrifice speed for quality however we will always strive to meet the key performance indicators and the critical timelines. How much will it cost to supply an officer? This is completely dependent on the task however from the offset we are committed to transparency in terms of our projected costs, if, through assignment progression or changes in circumstance, the costs change we will communicate this in to the client at the earliest opportunity. We are committed to remaining competitive on price whilst offering exceptional service. How do Conquest decide what personnel work on what case? We ensure that we understand and communicate your assignment instructions clearly and succinctly matching those individuals with the best skills available to the assignment pre-requisites. By understanding our people we understand how to best achieve your objectives. Can Conquest provide specialised security equipment? Yes, through our security equipment services we can provide the full spectrum of equipment that may be required in the security services arena including installation and maintenance. How long has Conquest been established? Conquest was formed in 1999 , however all the individuals and partner companies involved in Conquest have been working within the security industry for over 30 years. It was through this vast experience that the realisation was made that in today’s complex and evolving security market place where the risks and threats are ever changing and fluid there is a requirement for partnerships and the sharing of key skills and knowledge that ultimately will provide the best service and the best defences. Conquest has been set up to provide a new, modern security company that can deliver all your security needs with exceptional service matched to exceptional service delivery.